The information you attempted to submit is incorrect. Please try again. Log in now and use any earned Onboard Credit to reserve Azamara Shore Excursions before boarding—up until two days prior to your voyage. Choose the onshore experience you want now, so you canspend more time onboard enjoying your boutique hotel at sea later. Watch a quick video to learn how to apply your onboard credit. Not only will Azamara take you to the most celebrated destinations on Earth, but we’ll show you more with our exclusive Cruise Global, Connect LocalSM shore excursions. Browse our experiences and book yours today! We offer guests complimentary AzAmazing Evenings events on most voyages (some exclusions apply). 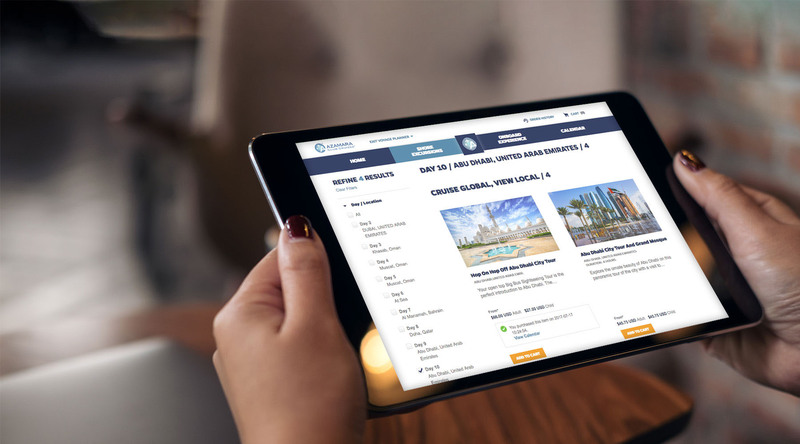 Browse events on your voyage and make your no-cost reservation today! If your group has 16 or more people, you may be able to book a private tour or customize your own experience. Our Cruise Global, Connect LocalSM shore excursions bring you behind the scenes and allow for exploration after night falls. Experience more intimate outings with small groups, shorter tours, night touring, and themed events, including local entertainment and nightlife. We're getting personal, and we think you'll love it. Go off-the-beaten path with your own private, local tour guide. Discover our wheelchair and scooter accessible tours. Book a private tour or customize your own experience for groups of 16 or more people.